Petty cash is actually an accessible store of money saved by companies to spend on small, cheap items where a big amount of money is not needed. The idea is very different but helpful. Usually, when companies have to buy some stuff for them they pay the shop or concerned person by check or credit card. This is what the norm is. But a check is made when the amount is up to 50$. In the case of buying items that cost less than 50$ petty cash slips come in for the payment. Mostly, these slips are given to the employees and not outside company because it is the employers that usually take care of such small tasks. The procedure goes quiet simple. Each company has its own sub-department in accounts and a concerned person that takes care of petty cash cases. The concerned person in department gives the slip with the demanded amount written to the person the money is owed and he takes his money from the accounts. Tasks, like buying light bulbs, coffee mugs, fixing the broken computer screen, or sending a mail, are the ones that would probably cost less than 50$ for which the company cannot write a check. Now the employer that takes care of such tasks will pay the bill from his pocket knowing the company will return him through petty cash. 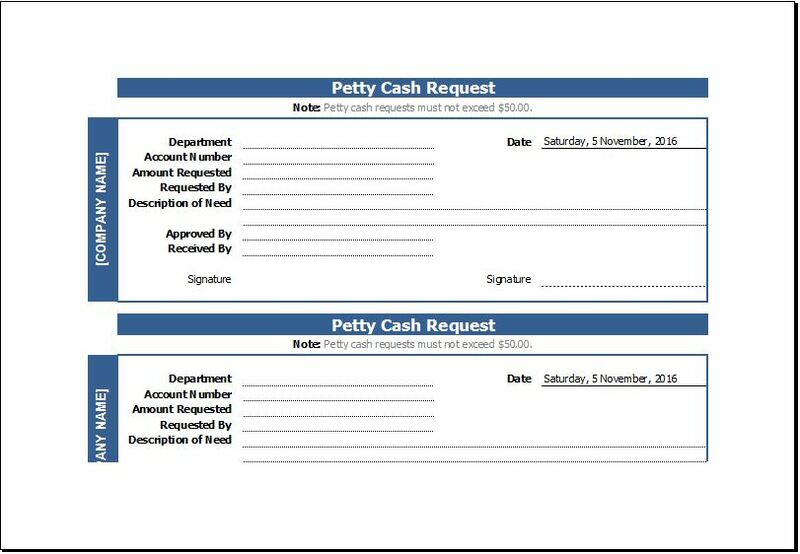 All he has to do is to take the petty cash request slip, fill the information which usually asks about the kind of need for the request, the amount of money with the requester’s contact information and signature. And he will have the required money in his hands the next moment. 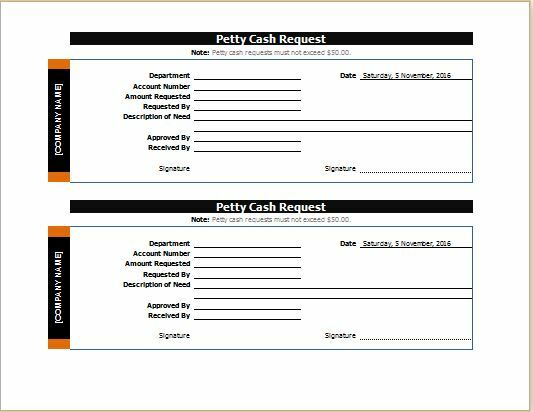 Petty cash is basically a very convenient mode of transferring money from a company to people directly rather from bank to bank procedure. Its reliability and authenticity for both the employer and employees as both parties have trust in the quality of the work. Other than petty cash there is no appropriate way for the company to pay for the small tasks. The giver remains satisfied and the receiver contented.